At long last, the Olympia Food Co-op is proud to now offer an Assisted Shopper Program to its members! What is an Assisted Shopper Program? Well, at the Co-op, it means that elders and people with disabilities can get free assistance with their shopping from working members. Help is available with instore shopping, or folks who find it hard to come into the store to shop can have their groceries delivered to them at home. The Assisted Shopper Program has been in the works for over a year. 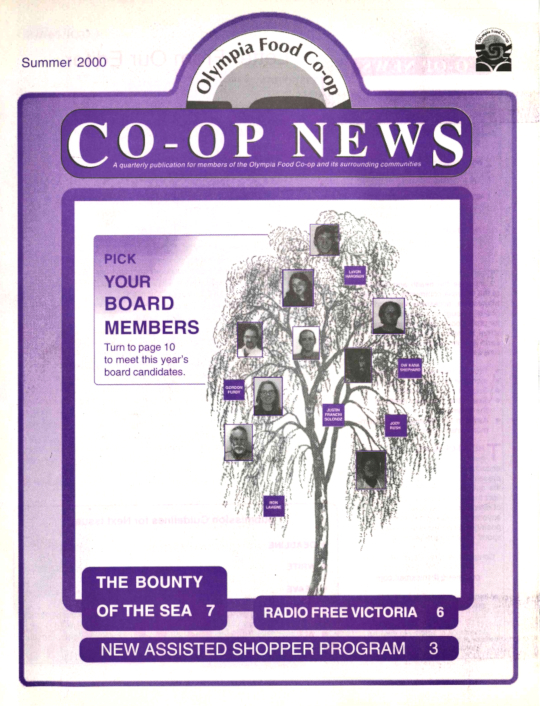 For those of you who don’t know, the Co-op has a job description know as diversity coordinator (or coordinators, as the case may be). 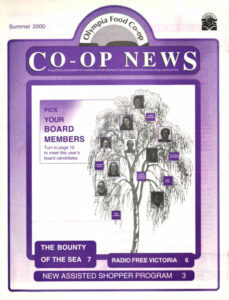 The diversity coordinators work to make the store more accessible to all people and provide ongoing educational opportunities for staff and the Co-op community about issues of diversity, oppression and privilege. They put on the Diversity Forum nights, set up the monthly book displays, and help the store acquire equipment such as the accessible electric door and the motorized shopping cart. Customers have been expressing a need for an Assisted Shopper Program for some time, but with the turnover of coordinators that has happened over the last year, it hasn’t been until recently that we were finally able to sit down and hammer out the logistics of such a system. So how does it work? Customers who are interested in using the program can pick up a contact form at either store or call and have one mailed to them. You tell us what kind of assistance you would like and best times for you to shop. After the form is returned to a staff person, the working member coordinators will match up the customer with a working member who is available to shop at times that correspond with the customer’s needs. The system is free of charge – the customer is not responsible for paying gas or mileage for the delivery. Food stamp benefits can be used; the designated shopper simply uses the EBT card of the assisted shopper. We expect the program to be fully functioning by the time you read this article. Keep your eye out for trainings for working members who are interested in being designated shoppers. For more information about the program, talk to Tara at the eastside Co-op.